Recently I received and email asking a very interesting Church related question regarding the “hidden ones” of Psalm 83:3. They [Arab confederates] have taken crafty counsel against Your people [national Israel], And consulted together against Your sheltered [hidden] ones. (Psalm 83:3; NKJV) Some translations use the word “hidden” instead of sheltered. Question: I have a question concerning Psalm 83:3 and its link with Isaiah 26:20. The last section of the Psalm verse reads, “and consulted against thy hidden ones,” and Isaiah explains who these are that are hiding. I understand these passages refer to the Saints/Church. That being the case would not the inference in the psalm be that the Church has already been taken before the fulfillment of that prophecy? 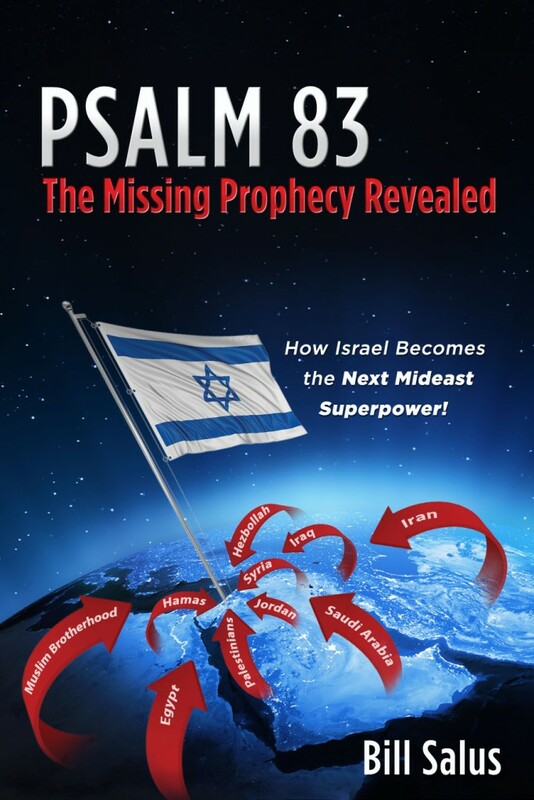 CLICK HERE TO BUY THE PSALM 83: MISSING PROPHECIES REVEALED, HOW ISRAEL BECOMES THE NEXT MIDEAST SUPERPOWER BOOK AND DVD’S. Answer: Brother Gary, since Psalm 83 appears to be a Pre-Tribulation event, I presume that makes you a a Pre-Trib Rapture believer. I’m also a Pre-Tribber. In fact, I get goose bumps at the sound of a trumpet. However, I don’t believe the Church is identified anywhere in Psalm 83. Furthermore, since the Rapture is an imminent event, Psalm 83 remains unfulfilled, and the Church is still present, it is still possible that Christians may witness the final fulfillment of Psalm 83. In Psalm 83:3, the Hebrew word for “hidden” in “hidden ones” is Tsaphan. This word does not appear in Isaiah 26:20 or anywhere else in the book of Isaiah. The first usage of Tsaphan is in Exodus 2:2-3 alluding to the baby Moses being hidden by his mother from Pharaoh’s edict of death in Egypt. At the time all newborn Hebrew males were being killed at birth in order to keep the Hebrew ethnicity weak and enslaved. However, a remnant led by Moses ultimately survived and departed for the Promised Land. Typologically, from an end time’s perspective, the mother of Moses likely represents national Israel and Moses, the faithful end time’s remnant that eventually emerges from within it. Similarly, the next usage of Tsaphan is found in Joshua 2:4 whereby Rahab was hiding the two spies. These two also typologically signify a select sub-group or remnant of Israel. (Below, watch Gary Stearman and Bill Salus interview about Psalm 83). I believe that Psalm 83:3 alludes to both national Israel (Your people), which exists today in a condition of unbelief, and the faithful remnant (hidden ones) that comes out from national Israel in the end times in a condition of belief. Although the faithful remnant hasn’t emerged yet from within Israel, one will in the Tribulation period. They are currently “Tsaphan”, within national Israel. Presently, they remain unidentified but probably exist on the world scene somewhere unknowingly. However, omniscient God knows who and where they are. Psalm 83 represents a genocidal attempt of the Jews and the final destruction of the Jewish State, that the name Israel be remembered no more. (Ps. 83:4). Geo-politically the Arab confederates want to destroy Israel and confiscate the Promised Land. We see this stage setting in the Middle East today. Geo-prophetically, Satan wants to destroy all Jews worldwide, especially the infamous coming faithful remnant, to prove God is not a covenant keeper. 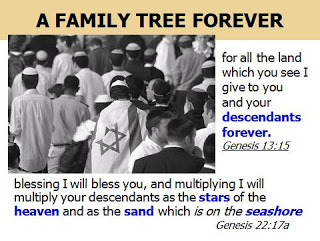 In Genesis 13:15, 22:17, and elsewhere, God unconditionally promised Abraham, Isaac, and Jacob, descendants forever. In Genesis 15:18 these patriarchs were promised land from the Nile River in Egypt to the Euphrates in Iraq and Syria. The Psalm 83 Arabs dwell upon a majority of this “Holy Land” today. They want to destroy the Jews and possess the land (Psalm 83:12). Psalm 83 represents the first of three end time’s genocidal attempts against the Jews. Ezekiel 38 & 39 appears to follow soon and sequentially on the heels of Psalm 83. In Ezekiel’s prophecy Russia, Iran, Turkey, and several other nations will confederate to kill the Jews and confiscate the plunder and booty that Israel will possess after they defeat the Psalm 83 confederacy. Lastly, the Antichrist will muster up his Armageddon forces in the Tribulation Period in a final Jewish genocidal attempt. This is when the Tsaphan, faithful remnant, of Israel will emerge. They become the saved remnant of Romans 9:27 and 11:26. They are also the “sons of the living God” in Hosea 1:10 and Romans 9:26. I believe the Psalmist Asaph was informing us that Israel’s Arab enemies will attempt to kill all Jews, even the hidden faithful end time’s remnant, so that God’s promises to Abraham, Isaac, and Jacob would be broken. Although the Church may be here to witness Psalm 83, it does not appear to be indentified anywhere in the Psalm. Psalm 83 is Satan’s attempt to inspire the Islamic Arabs that hate and surround Israel to destroy the Jews and the Jewish State in order to prove God is a promise breaker. In fact, the Church needs to come out of hiding on Psalm 83 and preach the possibility that it’s about to find final fulfillment.